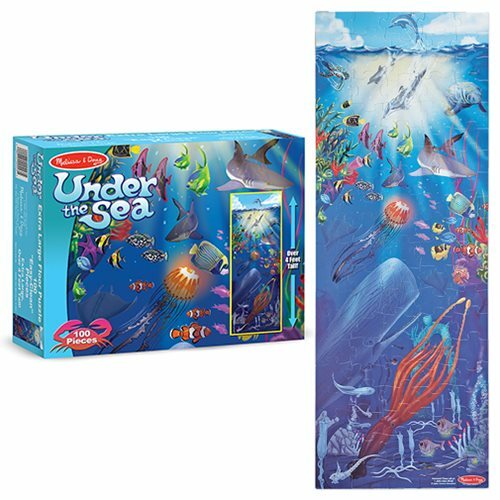 The colorful, exotic world of the ocean depths is beautifully portrayed in this educational floor puzzle. Filled with fascinating flora and aquatic fauna, children will love exploring and learning with this detailed cardboard floor puzzle. Over four feet long when assembled, the 100 extra-thick pieces feature an Easy-Clean surface to keep them looking like new. Ages 6 and up.